Hello! I'm Laurie. If you’re looking for a calming and creative photographer to capture the natural moments of your City Hall wedding then I’m your person. Have questions about the packages listed below or want to check my availability? Just ask! This package is the perfect amount of coverage for a City Hall ceremony. 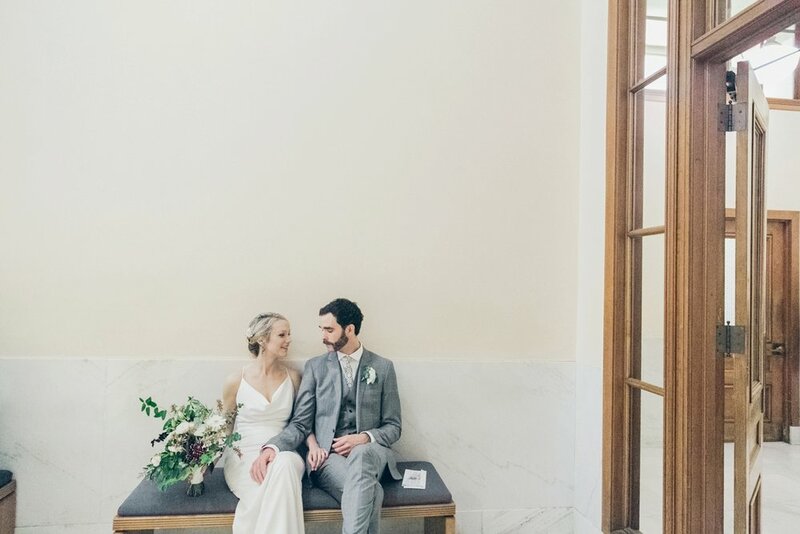 This package is the perfect amount of coverage for a City Hall ceremony + a little extra time for a nearby 2nd location in SF. "I cannot recommend FROM SF WITH LOVE enough. If you want beautiful pictures and a photographer who is easy to work with and really listens to your vision, please do not hesitate to work with Laurie. You won't regret it." 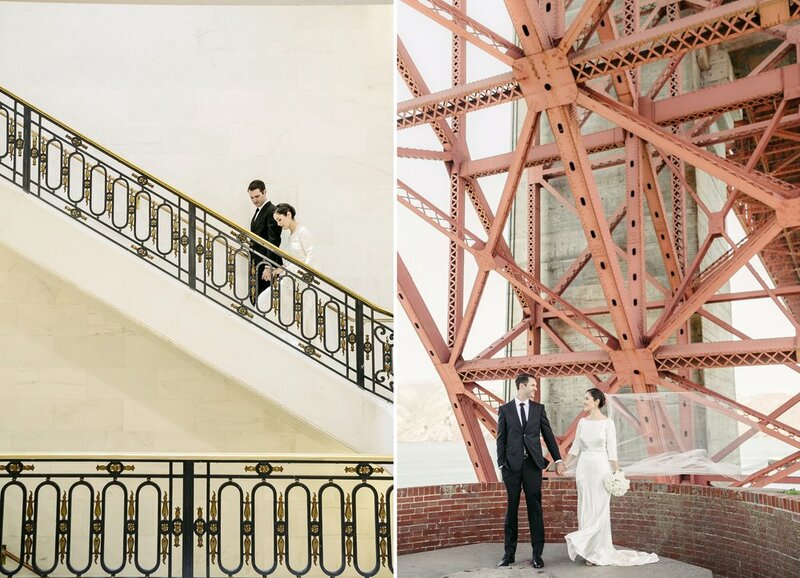 This package is perfect for all the photos you'd want at City Hall + an iconic or favorite SF spot. Alternatively, you can use the getting ready time for some reception coverage. This package is only available M-F and for intimate weddings. For larger weddings I recommend adding a 2nd shooter. My clients say I'm creative, fun, down to earth, but also that I proactively provide artistic direction when needed. I love capturing the natural moments between people resulting in photographs that are simple, urban, and classic. 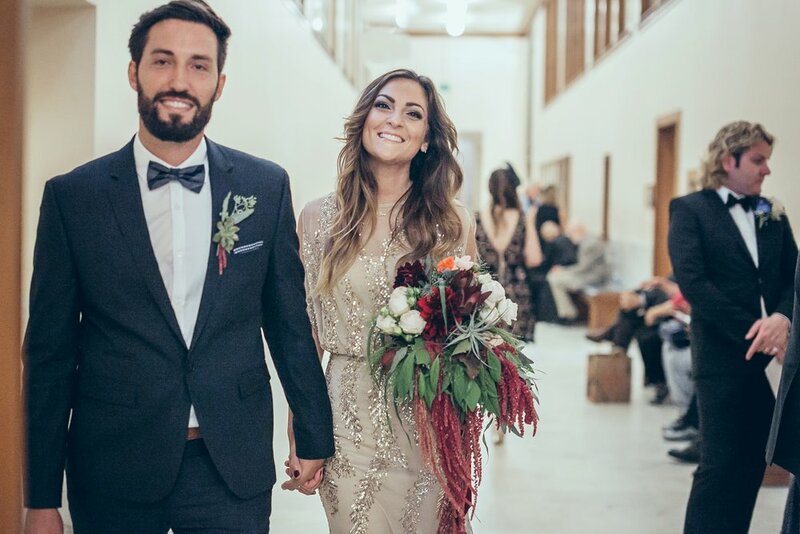 To see more City Hall wedding photos, browse my BLOG. Feel free to customize your own package & consult with me on how best to use the photo coverage! Great for larger weddings. And while we are doing your portraits, the 2nd shooter can cover cocktail hr & reception decor. • Gallery is backed up for 10yrs by the gallery co.
• 50% retainer & signed contract required to reserve your date. • CA sales tax required on packages with albums & thumb drives. 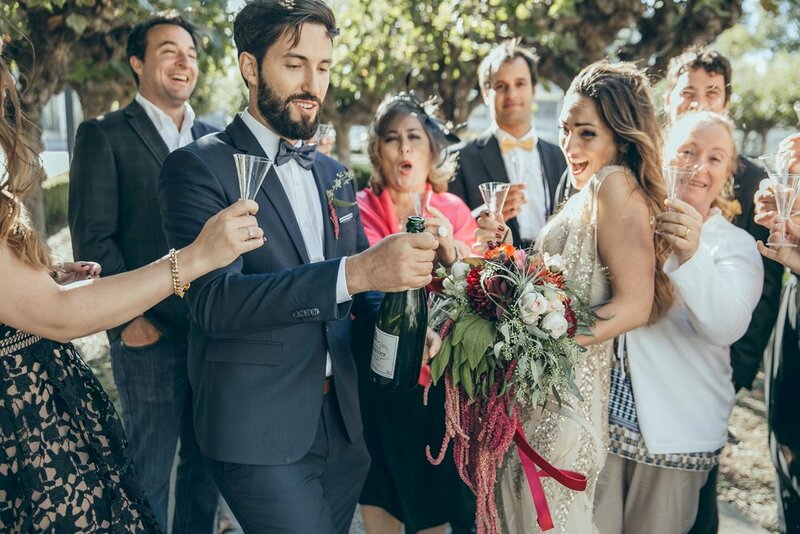 Find out if I'm available & let's chat about your SF wedding! 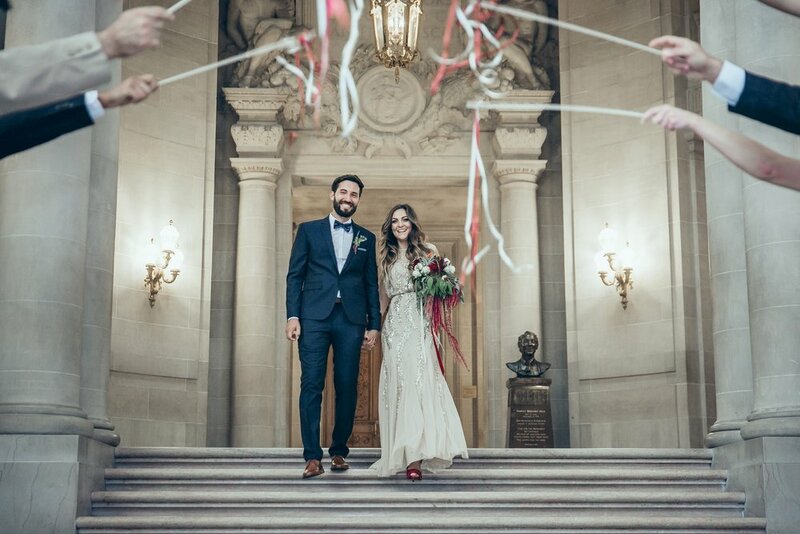 For more details on SF City Hall weddings, find more info HERE. Have more questions or want more deets? see FAQ page.